RAVENOUS BREWING COMPANY | THIRSTY…NEVERMORE! 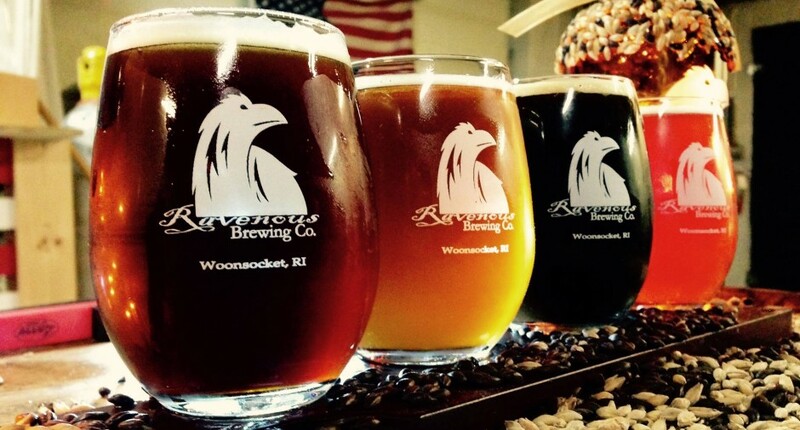 The Ravenous Brewing Company is proud to call the City of Woonsocket home. Established in October 2012, it is situated in the northern end of Rhode Island. We are lucky enough to bring the first brewery to this region of the State, and provide another choice to the passionate beer drinkers of New England. We are a family owned business and appreciate the help and support that we have received from all of our friends and family. Our brewery is very small in scale, and is what would typically be categorized as a “Nano” brewery. Our Ales are made with small equipment that requires true physical involvement from the brewers with each and every batch of beer produced. Though labor intensive, our passion and dedication for quality goes into every batch of Ravenous Ale that goes out into the market. Our batches of beer are forged by hand and truly qualify as handcrafted, artisan ales. Our goal is to spread the love and appreciation of local beer to everyone, and to work with our local businesses in every way possible. We look forward in seeking “green” alternatives to our brewing process so that we can provide great beer to our fans, while conserving energy and contributing to the preservation of our environment. As members of the community, we feel it’s necessary to stress the importance of drinking responsibly and encourage all of our drinkers to do so. Please take a look around our website and leave us a comment. We hope that your experience with Ravenous Brewing Company is a pleasant one. Stopped in last Saturday afternoon with my buddy Craig and had a pint. I thought the place was great. I’m gonna come back this Saturday and get a couple “to go” bottles, if possible, to bring to a party in the afternoon.